Price listed is for eight stamped charms. 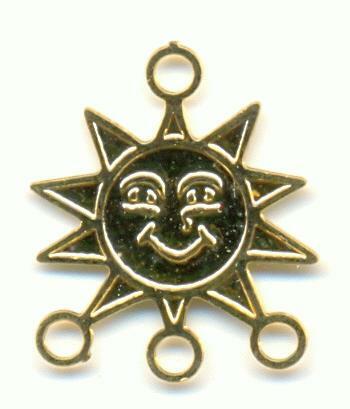 These are Sun burst gold colored phone charms with four loops. The measure approximately 18mm by 15mm. A few of these may have other tiny charms attached to them with small jump rings.